Welcome to Lancaster, PA, a city with a rich and intriguing heritage that dates back to colonial times. Once America’s largest inland city and the Capital of the United States for one day! Lancaster was named after Lancashire, England, and its symbol is the red rose, from the house of Lancashire. In the period from the 1760’s through the early 1800’s, this was the largest inland town in America, and it was larger than most inland English cities as well. Lancaster was our nation’s capital for one day when the Continental Congress met here in September 1777. The colonial government had withdrawn from the capital in Philadelphia to escape the approaching British troops, and stopped here for a day before moving on to York, Pennsylvania. 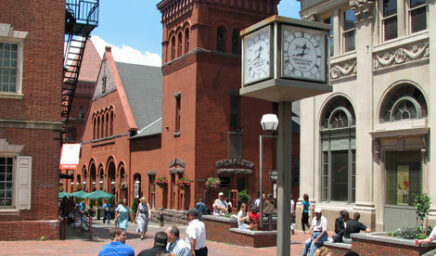 Penn Square is the hub of center city Lancaster. The Soldiers And Sailors Monument in the middle of the square was dedicated on July 4, 1874 to honor the county’s soldiers who had served the armed forces. One block west of Penn Square is the Fulton Opera House, America’s oldest theater in continuous operation. Named after inventor Robert Fulton, this structure was built in 1852. Performers here included the Barrymores, George M. Cohan, Sarah Bernhardt, and Al Jolson. 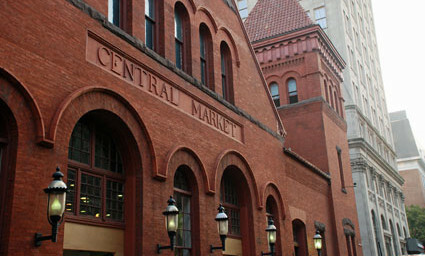 The Central Market, located just off Penn Square, dates back to the mid-1700’s. Every Tuesday and Friday this market comes alive as farmers, bakers, and butchers sell their wares. Just southeast of Penn Square is the Trinity Lutheran Church, the oldest congregation in Lancaster, dating back to 1729. The church’s steeple was the tallest structure west of Philadelphia in 1800. Statues of the four evangelists stand guard at the corners of the steeple. There is a strong emphasis on preservation and restoration of the older buildings in Lancaster. Through adaptive re-use, these structures are being revitalized for use today. Have you ever been told that someone was eavesdropping on your conversation? At the Bowsman House on East King Street this happens every day. From the overhang of the house, the eavesdropper listens to what is said on the sidewalk below. Even the Lancaster County Prison is unique. It was built in the 1850’s, and supposedly resembles the castle at Lancashire, England. John Passmore became the first mayor of Lancaster in 1818. At his house you can still see the hitching post and the stone mounting step for boarding carriages. While seated in an upstairs room, residents could look at mirrors outside the windows to see who might be knocking at the front door. And a sundial was mounted on the outside wall of the house near the front door. In 1873 Benjamin Mishler built a house on South Prince Street in only ten hours’ time in response to a wager. An entire house in only ten hours! After over 130 years, this house is still in use today. Lancaster’s James Buchanan was the only bachelor President of the United States, and the only President from Pennsylvania. Guided tours are available at Wheatland, his mansion home. Frank W. Woolworth built his first “5 and 10” in Lancaster in 1879, and Milton Hershey started his chocolate business here as well. Come and enjoy the architecture and curiosities of Lancaster. Walk the streets where George Washington, Ben Franklin, and Thomas Payne once walked. Lancaster is a fascinating city of yesterday and today. Any be sure to visit downtown Lancaster on First Friday or Music Friday (the third Friday of the month). Following are lists of attractions, shops, restaurants, services, and accommodations within the city of Lancaster. 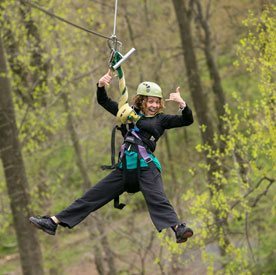 For attractions, restaurants, and more just outside of Lancaster city, see our Suburban Lancaster directory. 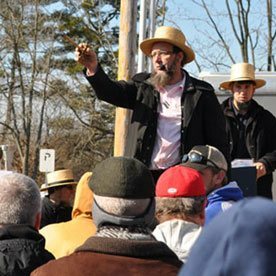 For other towns throughout Lancaster County, check the list in the sidebar. Shopping in Downtown Lancaster - Discover the variety of unique shopping opportunities downtown. Where to Stay in Downtown Lancaster - See hotels and bed and breakfasts. Downtown Lancaster Services - Attorneys, transportation, city and county offices, more. Downtown Lancaster Churches - Where to go to worship the Lord.